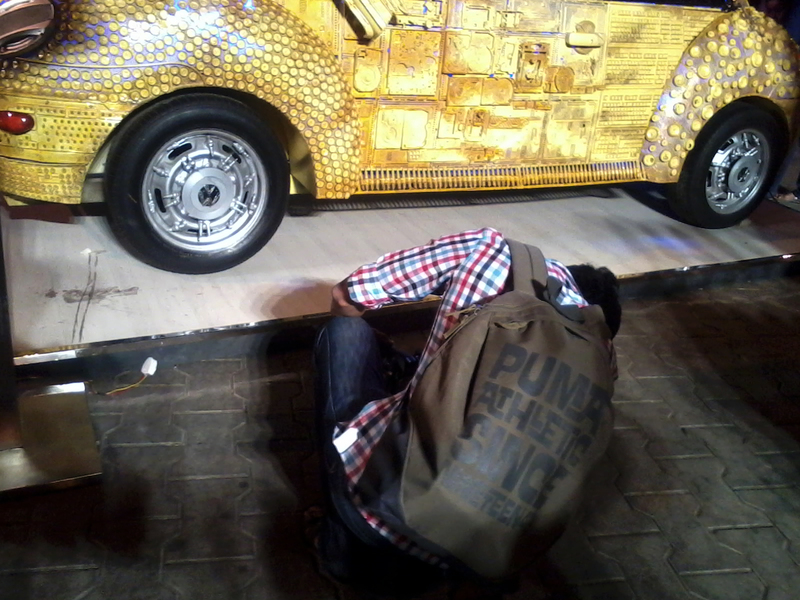 The Festival is organised by the Kala Ghoda Association (a non-profit organisation that states its objectives as “physically upgrading the Kala Ghoda sub-precinct and making it the Art District of Mumbai”). 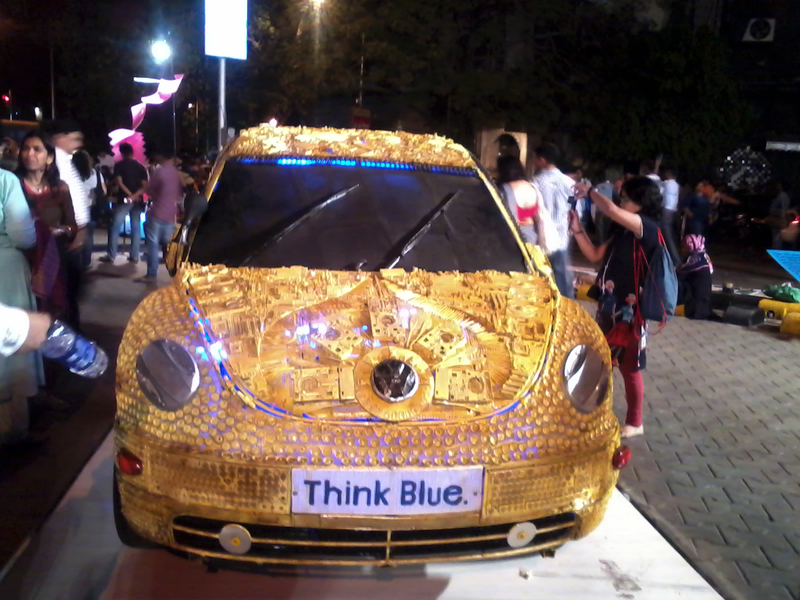 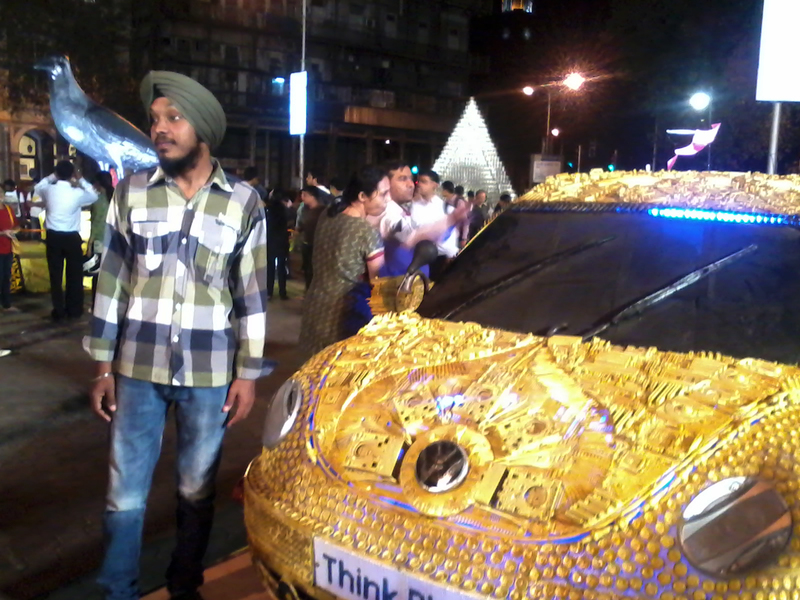 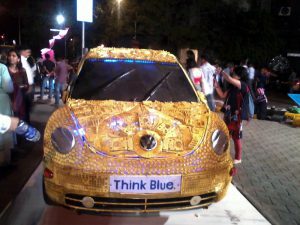 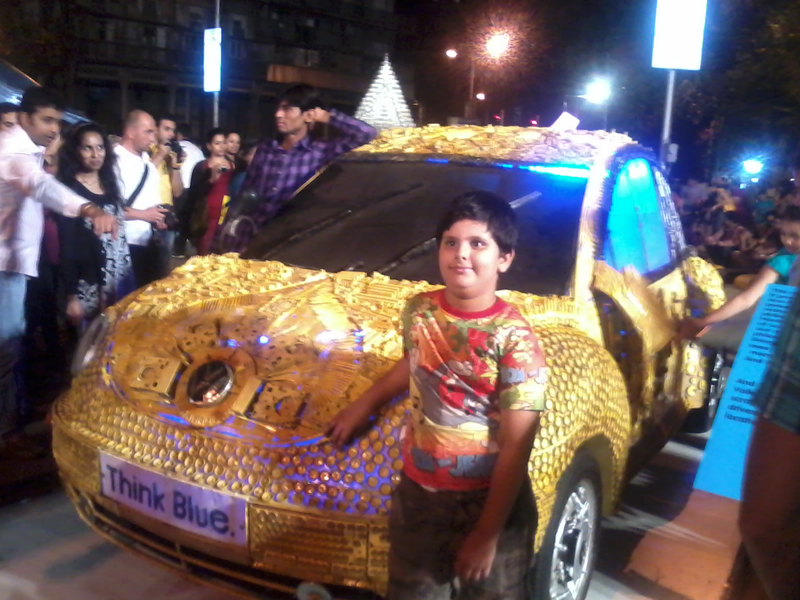 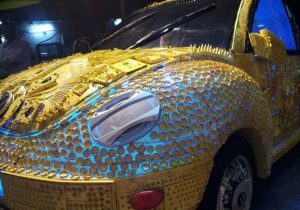 Think Blue Beetle – This luminous Volkswagen Beetle is a life-size work of art crafted by sculptor Haribaabu Naatesan from over 2,805 pieces of scrap. 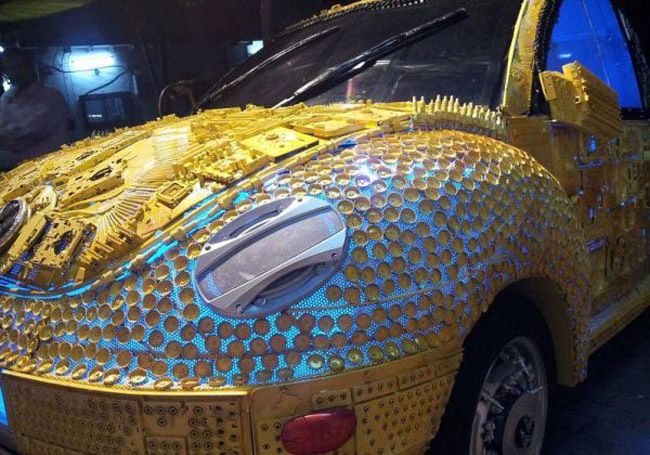 The detailed replica of the classic car is made from 800 spark plugs, 200 bottle caps, 60 mother boards, and an incredible array of other commonly discarded items – including audio cassettes, typewriters, pens, and barbeque sticks.